Gravity at work, Fintona County Tyrone, Ireland. 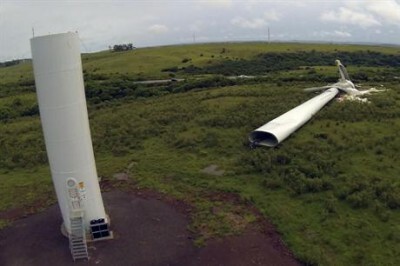 The number of cases involving collapsing turbines and flying blades (aka “component liberation”) has become so common that, if we were a tad cynical, we would go so far to suggest the possibility of some kind of pattern, along the lines proffered by Mr Bond’s nemesis, Goldfinger: “Once is happenstance. Twice is coincidence. Three times it’s enemy action”. 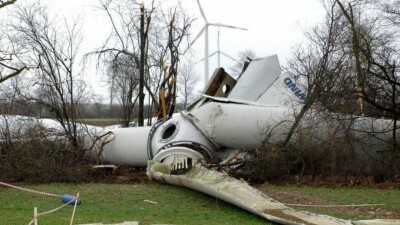 Turbines keep crashing back to earth in frightening numbers – from Brazil – to Kansas – Pennsylvania – Germany and Scotland – Devon and everywhere in between: Ireland has been ‘luckier’ than most (see our posts here and here) and their luck is being enjoyed in Sweden too (see our post here). Then there’s their habit of bursting into flames – as a kind of giant pyrotechnic display. This time the kids from County Antrim were treated to a demonstration of ‘clean, green’ family friendly fireworks. 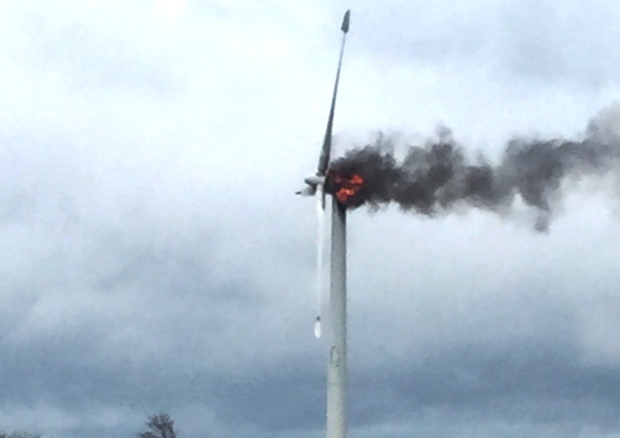 This striking image was captured by an engineer from Northern Ireland Electricity, after he attended the scene of a burning wind turbine in Co Antrim. The blaze took place around the Castlecat Road in a part of rural north Antrim called Derrykeighan, a few miles east of Coleraine. Two fire engines from Coleraine were dispatched to the scene at around 8.30am, but the fire brigade said that they did not need to take any action when they arrived. Northern Ireland Electricity staff attended to make sure the electricity supply was isolated. 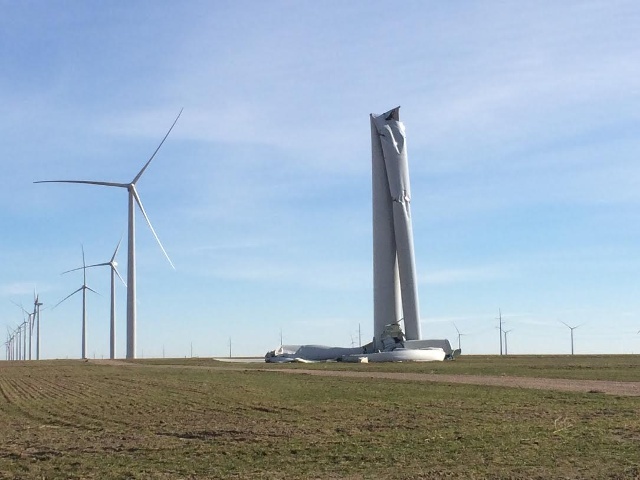 They said they could not reveal the operator of the turbine, which is believed to be a single unit, not part of a wider wind farm. 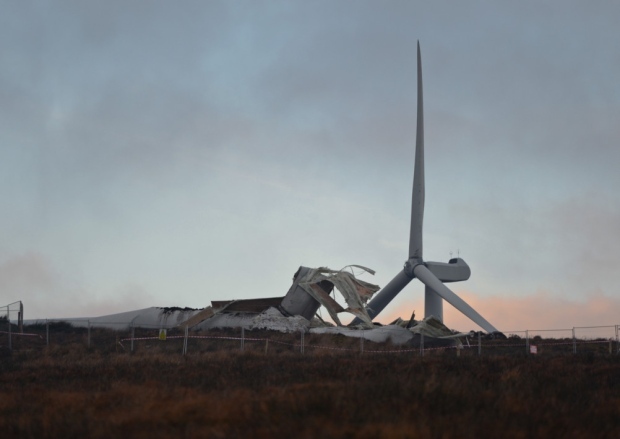 In January 2015, a wind turbine collapsed following a malfunction in Screggagh, Co Tyrone. Seems the Irish have more than their fair share of ‘luck’. While sparks were flying in County Antrim, County Tyrone has had its share of excitement too. Last year a nodding Nordex came off second-best in gravity’s constant vertical challenge. 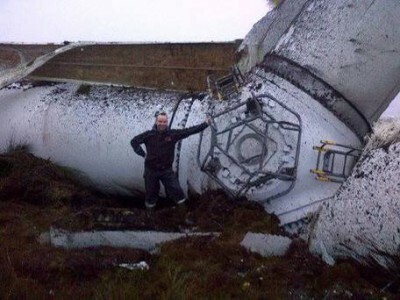 The company behind a turbine which collapsed in spectacular fashion in Co Tyrone has said it has never seen such an event before. Nordex said it had installed around 340 of the same model of turbine in Europe and Asia since 2001. This specific model of turbine is called an N80/2500, but there are others from the same general class. When it comes to the investigation into the collapse, he said the firm will not speculate on a reason and it is not possible to say how long the probe will take. 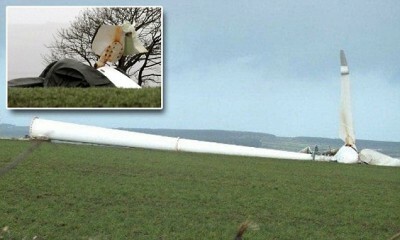 The £2m wind turbine toppled over on Friday evening at Screggagh wind farm, off the B122 between Fintona and Fivemiletown. The Department of the Environment, which has responsibility for planning, said it does not hold records on how many turbines are operating in Northern Ireland. These boys should get out more, to be sure! Starfish Hill, South Australia, 2013. With gravity one of nature’s constants, wind farm neighbours can hardly rest assured. Expect more of the same. 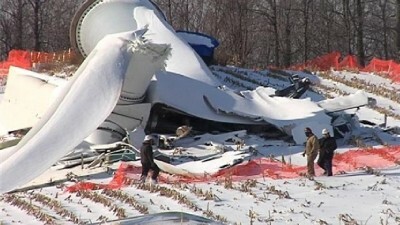 Welcome to your wind powered future. 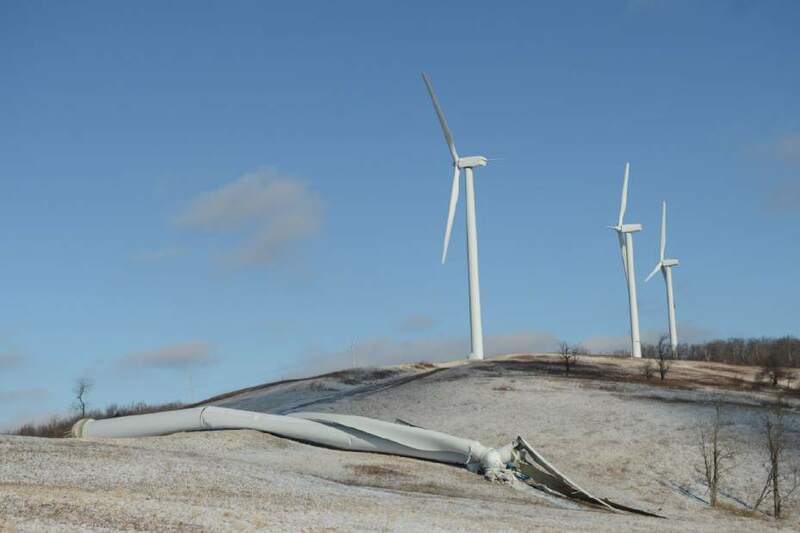 What goes up, ultimately comes down – nature has it’s own way at telling people who insist on putting turbines up they’re not wanted. At £2 Million a turbine couldn’t something else be developed instead more ecological for the area. Nature is getting shafted by a load of greedy chancers who don’t care what happens to the planet so long as they make a quick buck. They should be ashamed. Its only a matter of time before there are fatalaties as regards collapsing and igniting wind turbines Rarely if at all you will hear of a conventional fossil fuel power plant catching fire apart from controlled fuel burning. Patrick, so far there have been 162 killed by these things. 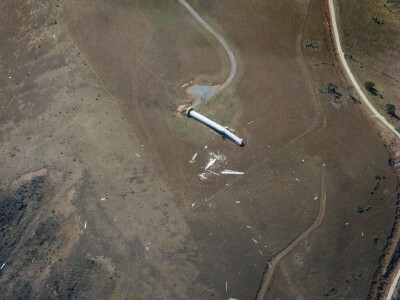 “Our data clearly shows that blade failure is the most common accident with wind turbines, closely followed by fire. This is in agreement with GCube, the largest provider of insurance to renewable energy schemes. Please note: There are more fatalities than accidents as some accidents have caused multiple fatalities. 95 were wind industry and direct support workers (divers, construction, maintenance, engineers, etc), or small turbine owner/operators. They also burnup. Here a case last autumn.